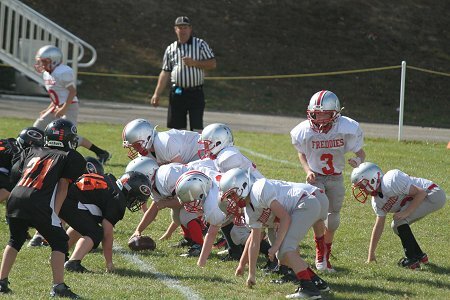 Willie Davis Youth Football - Fredericktown Ohio. 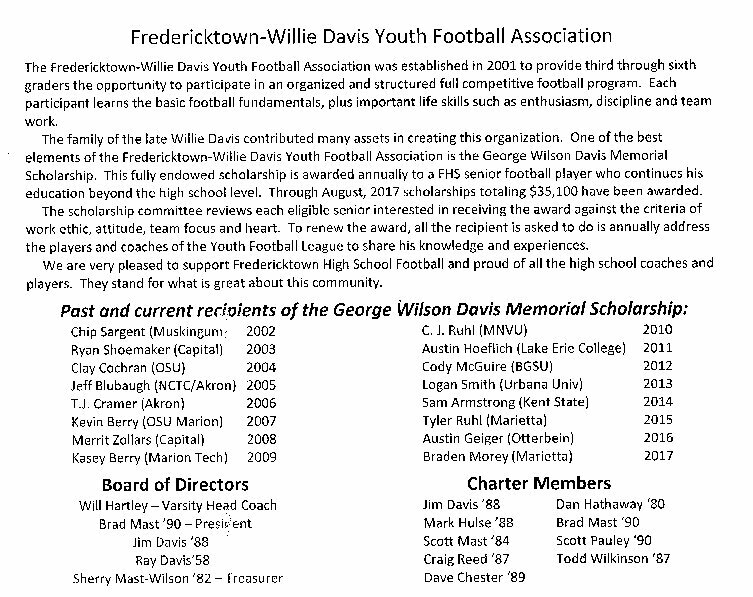 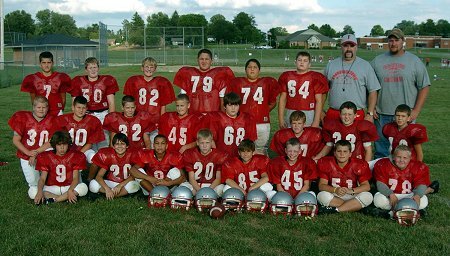 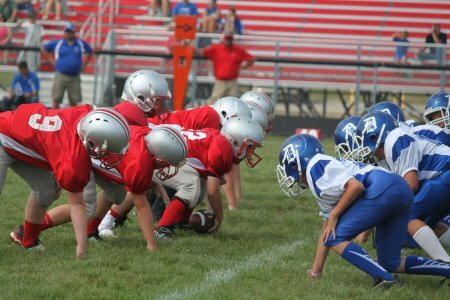 The Fredericktown-Willie Davis Youth Football Association was established in 2001 to provide third through sixth graders the opportunity to participate in an organized and structured full competitive football program. 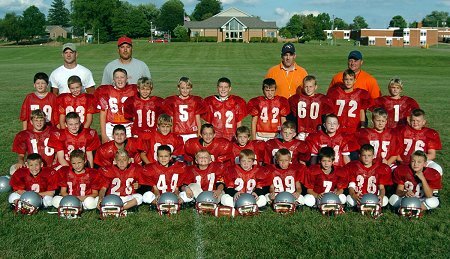 Each participant learns the basic football fundamentals, plus important life skills such as enthusiasm, discipline and team work.